Wouldn’t it be nice if, in the event of a fire, you could simply rely on your municipality to feed your sprinkler system? 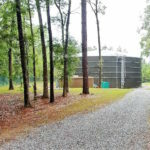 Some businesses are lucky enough to have that luxury, but for many others, a fire protection tank is necessary in order to meet the National Fire Protection Agency (NFPA) standards and to keep the business, its assets and its employees safe. Fire protection tanks are one of those line items that you know you need, but you don’t want to think about. Dealing with these tanks can often feel like more hassle than it’s worth. Here’s how to help make that process move smoothly and quickly so that you can get back to the business of making money. Someone on your staff probably knows the basics when it comes to NFPA standards, but it is rare to find someone who is truly familiar with the requirements. This can spell trouble when shopping for a fire protection tank. If you aren’t 100% sure of exactly what is required for your business, you could waste a lot of money going back to the drawing board after an inspection or attempting to file an insurance claim. Unfortunately, laypeople with good intentions can waste a lot of time chasing down and attempting to making sense of NFPA specs. 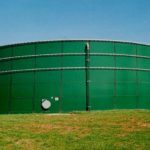 If you hire a general contractor to manage your tank project, there is no guarantee that they will understand the ins and outs of the rules governing tank you must install. This can lead to one of two negative impacts. One, you could end up with a tank that is not able to meet NFPA specs, or two, you could get a tank that is way too big or powerful for your specific needs, resulting in wasted dollars. You have a fine line to walk when it comes to fire protection tanks. You want to be sure that in the event of a fire, the system works properly, but you also have to manage costs. 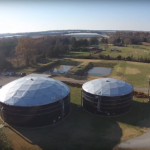 Many people tend to gravitate toward the cheapest tank because the purchase does not add value to the business, but cheaper isn’t always smarter. When shopping around, pay close attention to each bid you collect. Cheap is ideal, but you have to make sure that you’re getting exactly what you need. On the flip side, you don’t want someone to scare you into buying far more than you would ever use. Always choose to work with an expert in fire protection tanks who will help you walk the line between compliance standards and your budget. Providers that know NFPA specs can ensure that you get and pay for only what you need, when you need it. When you have to buy a fire protection tank, you want to get the whole thing over with quickly. As you collect bids, pay close attention to process. Look for a company that can give you an accurate price quickly and who can work with you on efficient installation that will not disrupt your operations. While most businesses understand the importance of fire protection, they also have deadlines to meet and money to make. Since dealing with these tanks can be a headache, always consider the tank’s durability and lifecycle when making a final decision. Choosing the most durable tank can give you decades of peace of mind, even if it might cost a little bit more to install upfront. It’s better to pay now and not have to think about that tank, then be stuck updating it over and over again. 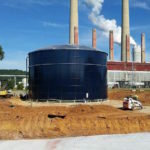 When you are faced with NFPA specs that require a tank, work with a provider that will give you a long-lasting and durable tank that meets requirements and can be installed quickly and with as little disruption as possible. Buying a fire protection tank isn’t nearly as exciting as buying new production equipment. Most companies do it because they have to, not because they are gung-ho about buying a sizeable water tank they may never use. However, you want to be sure that in the unlikely event that you do have to use that tank, that it will protect your property and the lives of your employees.